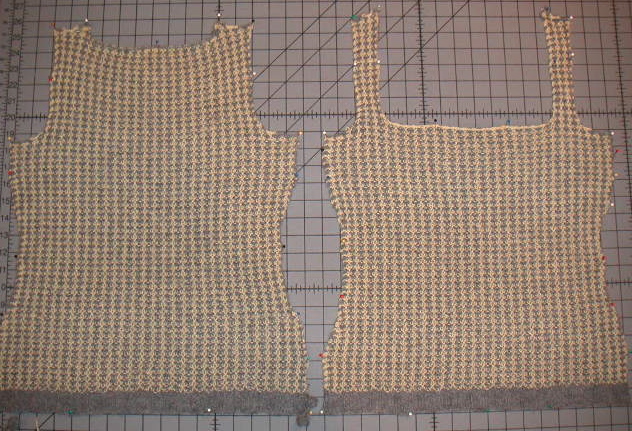 I finished the front of the vest last night and pinned it for blocking. I'll start seaming as soon as it's dry and start on the armhole and neckline ribbing at a craft night I'm attending later this week. I feel like this project has been going on forever and I've even been working on it regularly! Maybe it's because I don't have any other simultaneous projects going on, so I feel like it should have been done faster. Whatever the case, it looks like it will be finished sometime during the upcoming weekend. 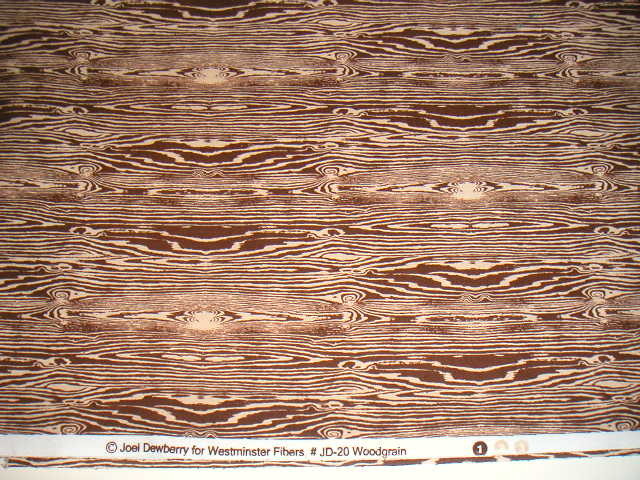 A couple of weeks ago I bought some Joel Dewberry woodgrain fabric in chocolate, but couldn't figure out what I wanted to make with it. A lightweight coat or blouse? 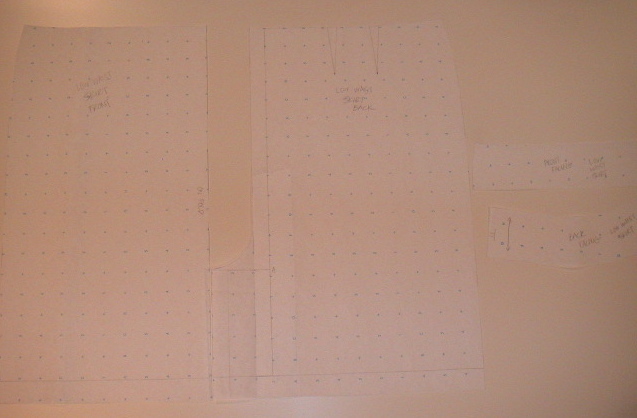 I decided on a low-waist straight skirt. 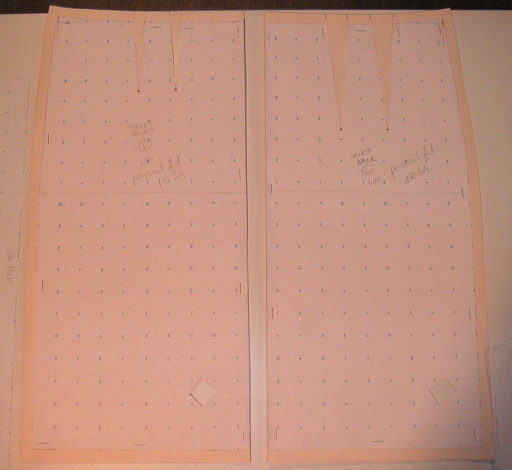 I traced my original skirt block and took three inches off the top of the waist, added one inch to the hem, and added a kick pleat to the back to come up with a low-waist skirt pattern. i've been asking mariko where the hell you've been. stuck in two-yarn project hell??? :) that skirt is going to be very cute!!! Your skirt idea sounds cute. Can't wait to see how that turns out. That fabric is great- just yesterday I saw a dress made out of the same type of fabric, and it was ultra-hot, in my opinion. (the dress was on the main character in "Weeds" this past week.) Your skirt will rock.